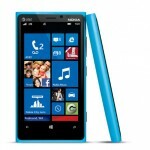 Nokia Lumia 920 with Windows Phone 8 is planned to be launched in Indonesia before the end 2012 said Nokia Indonesia. For preparation, please watch several videos of Nokia Lumia 920, start from the official video from Nokia, advertisement, unboxing, review, etc. Enjoy ! !